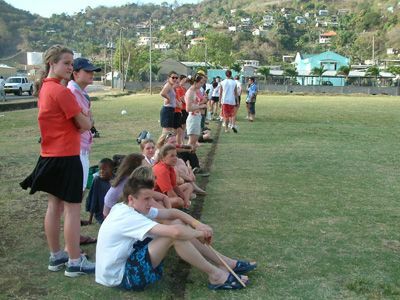 Grenada has a fabulous cricket stadium and upgraded pitches around the island as a result of World Cup Cricket 2007. Picture a complete experience of a cricket match or other athletic meet, a hike in the rain forest, an island spice and chocolate tour, and a taste of the real culture of Grenada. 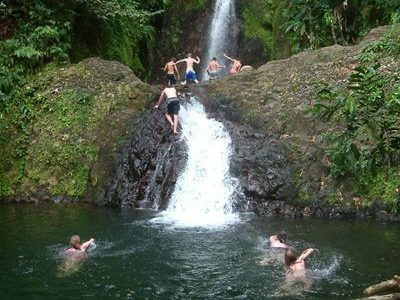 This unique experience is an ideal way for school or sports groups to combine training with a learning and relaxing experience in the tropics – where? 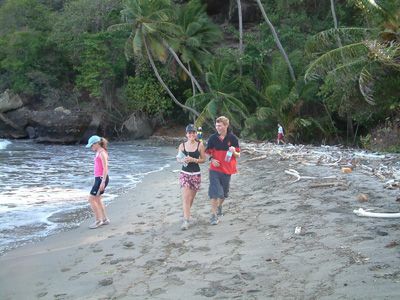 Grenada of course, as in Grenada, all these activities are within 20mins travelling time of each other! Looking for a way to put your team ahead of the UK athletics/cricket season? 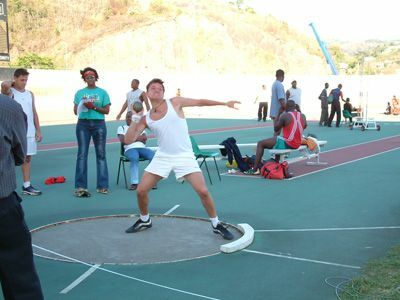 Grenada is the ideal place, warm, friendly, with the location of its world-class stadium and all the modern facilities for athletics and cricket, only 15 minutes away from your all-inclusive beach hotel. 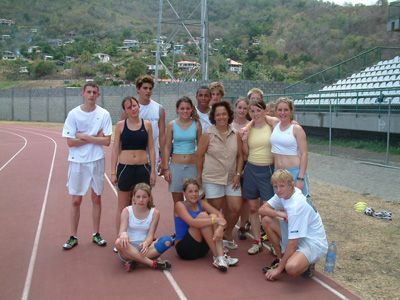 In Grenada, you can give your team superb accommodation, fun-filled extra-curricular activities and an intensive training programme – which will give them the jump-start they need to exceed their personal best – be it athletics, netball, football, cricket, triathlons, or whatever! Any one for a game of Bridge? If your group is interested in Bridge, we can arrange and host your tournaments and provide Grenadian partners who are keen duplicate bridge players. Here’s what Oakham School said about their week with us in April 2003! 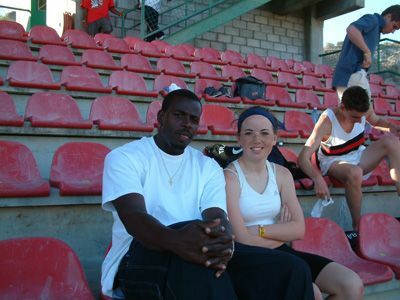 *Grenada has two main stadiums, one for cricket and another for football and athletics as well as several playing fields around the island and there are also training facilities at St George’s University and several well-equipped gyms in St George’s.